Re: who's your favourite couple in mewmewpower. Ichigo X Ryou - its so obvious! He really cares for her and they look totally cute! i like ichigo-chan masha-kun and pudding and the migit aline!!!!!!! mew*mew*may wrote: i like ichigo-chan masha-kun and pudding and the migit aline!!!!!!! yeah TARB and pudding is a great match together togther TOO! i like pudding and taruto and i also like ichigo and ryou. THEY MAKE SUCH A CUTE COUPLE!!!! Ichigo x Aoyamo-kun. i'm sure Ryuo has feelings for Ichigo but Ichigo and kissuh would have been cute too! Pudding x Taruto all the way!!! Zoey and Eli, they're so cute together!!!aww!! I say my favorite couple is Ichigo x Ryou but if not, I'd like Ichigo and Kisshu... And Pudding x Taruto all the way!! i think that eliotte likes zoey and bridgit likes eliotte and that dren loves zoey!! oh and that renee likes sardan and that kiki and tarb like each other and thats it. but i like zoey and mark toghether they look so cute toghether!!! Ichigo and Mayasa, the best couple from Tokyo Mew Mew! So, in the first place, Masaya loves her so much, he confessed his feelings for her first. He accepts her the way she is. Ichigo was always thinking at him and she loves him very much too. In the second place, maybe when you see all the episodes for the first time, you kinda become jealous on Ichigo because she has such a wonderful life. 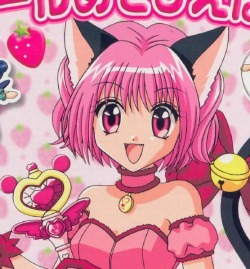 She has like 3 boys falling for her, she is a Mew Mew and her parents let her do almost everything she wants. Kisshu, I don't really know why do you all say that he is the best for Ichigo. He is obsessed with her, he said in many episodes "be mine!". Kisshu said if she would not like to be his, he will kill her. That's not true love, people!!! Kisshu even stole her first kiss and this is very rude!!! And Shirogane, I don't really know if he likes Ichigo. He is very cute, but he hasn't seem to fall for Ichigo. The reason he was staring at Masaya is not because he was jealous, that's because he had a bad feeling about him. And you all know, Masaya and the Blue Knight are Deep Blue, so Shirogane was right. Ichigo may have a small crush on Ryou, but their not a couple. And Ichigo and Kish? Kish is alway's stealing kisses from Ichigo. And he's the enemy! Yet Pudding and Tart (Tart is the midget alien) are a cute couple. Even if Tart is bad, their both the youngest and the cutest. That's my opinian. Don't like it, don't reply to it. Oh, and SarahScarletBFF, so true, so true. zoey+elliot=couples , kikki+tarb=couples , renee+sardan=couples .... am i right?? hehe here is a heads up ok in the mew mew power dren is backwards for nerd! lol and tarb is backwards for brat! lol didnt see that coming now did ya? Zoey and mark soooooooooooooooooooooooooo go togther!!!!!!!!!!!!!!!! And everyone please add me.